Blog | I Want To Help Africa, Inc.
You probably hear in the media about the number of African children who are in need of proper nutrition and in need of enough food to eat. 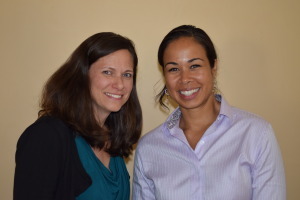 While on our recent visit to Zambia we had the opportunity to meet with Kim Hedge and Rachael Chieza from the nonprofit Every Child Fed, who are working to help severely malnourished children in Zambia. Using a peanut paste mixed with other nutrients, they are focusing on children under five years of age with severe acute malnutrition, with a plan to hire local staff, build a local factory, and partner with local growers. What they are trying to achieve is a long-time solution. Visit their website at everychildfed.org for more information. In our travels, we found children hunger for other things as well. They are hungry for an education and for school books, hungry for a glimpse of the world outside their remote rural villages, hungry to share their music and song with a smile. 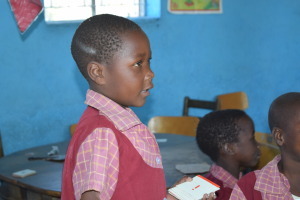 At a primary school in Zimbabwe, students were so proud to identify the pictures in their reader books and to sing counting songs to us. As we drove up to a school in Zambia we were greeted in song and included in their dancing by students of the newly-built structure–on a non-school day! We watched children playing soccer with a ball innovatively made from plastic bags wrapped in string. But we also watched while children played with items from our trash–an empty milk carton, a broken piece of plastic. When there is barely enough food to feed a family, there is no money to obtain toys for children. Many children walk miles to be able to attend school (or canoe through rushing water during the wet season) wearing uniforms that are literally falling apart from proudly wearing them to school every day. Other children have not obtained a uniform or theirs is in too much disrepair to be worn. With your help we can help meet some of these children’s needs. 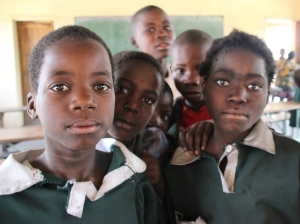 We support African programs that help feed these children, that help them attend schools, that provide these children with books and school supplies, as well as with clothing and shoes and school uniforms–or even fix a roof so the classroom is available to the students for learning. With your help we can help programs that empower young girls, helping them to obtain education, employment and greater freedom to become productive women. We have been in Zimbabwe for about a week now and had the opportunity to distribute books, clothing, shoes, and blankets to those people who desperately need them. What a rewarding experience! We arrived at one school, Mutipitipi Primary School, while some children were in class and some were gathering water to clean their classrooms….